On 2 December 1571 Sir William Parr, 1st Marquess of Northampton was laid to rest in St. Mary’s Collegiate Church, Warwick, England. 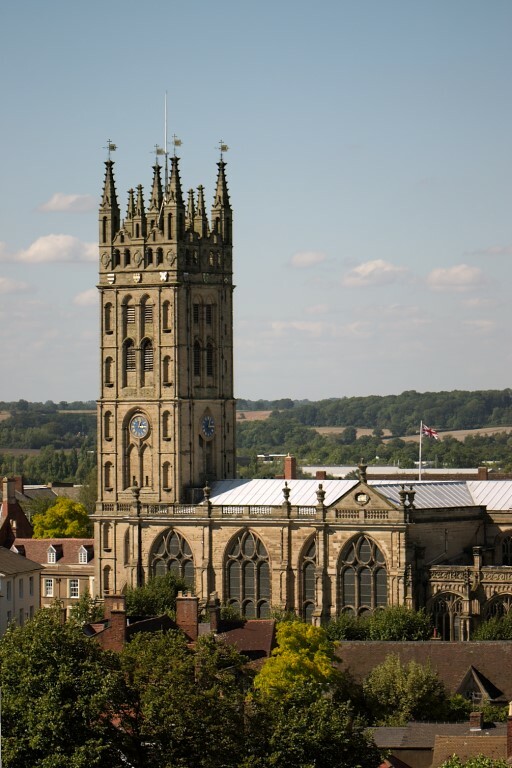 The only commemoration of Northampton even being buried in St. Mary’s is marked by a stone tablet. 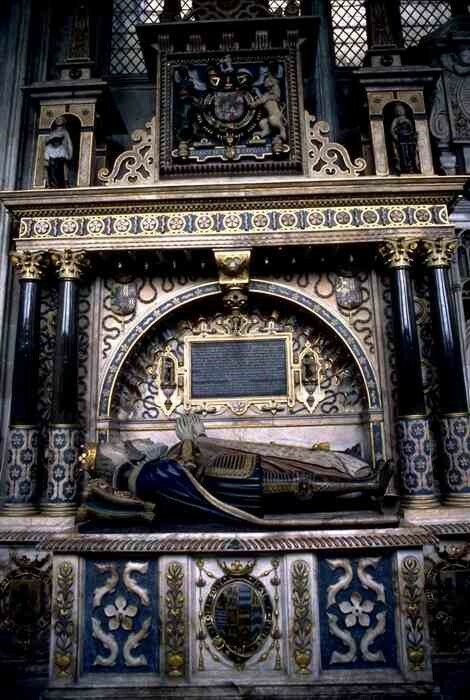 Lord Robert Dudley, Earl of Leicester and favorite of Elizabeth I was also buried in St. Mary’s in September of 1588. 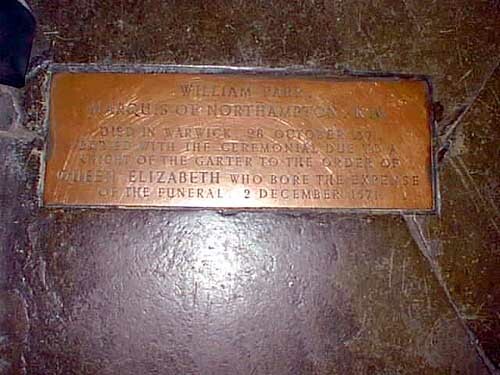 Coincidentally, William was buried in the same church as Elizabeth’s favorite, Robert Dudley, 1st Earl of Leicester. As he had requested, Leicester was buried in the Beauchamp Chapel—in the same chapel as Richard Beauchamp, his ancestor, and the “noble Impe”, his little son. His widow, Countess Lettice, was also buried there when she died in 1634, alongside the “best and dearest of husbands”, as the epitaph, which she commissioned says. 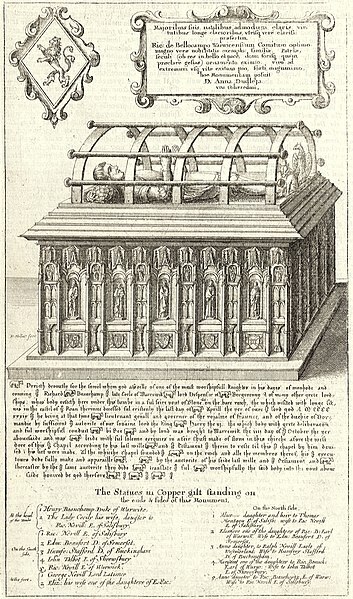 Wenceslaus Hollar, ‘Richard Beauchamp, Earl of Warwick (tomb)‘, University of Toronto Wenceslas Hollar Digital Collection. Wikimedia Commons. The Beauchamp family vault is also in St. Mary’s. The tomb of the 13th Earl of Warwick features several of Northampton’s ancestors and cousins such as the Neville family. Northampton’s paternal great-grandmother, Lady Alice FitzHugh (born Neville), was sister to Richard Neville, 16th Earl of Warwick (“Warwick, the Kingmaker”) who is featured on the Beauchamp Monument. Also featured is the parents of Lady FitzHugh and Lord Warwick, The Earl and Countess of Salisbury, Richard and Lady Alice Montacute. Lord Robert, Earl of Leicester descended from the 13th Earl via his paternal great-great-grandfather John Talbot, 1st Viscount of Lisle who was the son of Lady Margaret Beauchamp, Countess of Shrewsbury; eldest daughter of the 13th Earl of Warwick and his first wife, Elizabeth Berkeley. © Meg McGath; author. All Rights Reserved.